The worldwide revenue for business analytics and big data is expected to grow from $130 billion in 2016 to a massive $203 billion by 2020! Global data volume is increasing at an exponential rate and is estimated to augment by almost 40% per year and expand to a staggering fifty times its current volume by the year 2020. Coping up with this massive increase in data and leveraging it for business can be a troublesome task for organizations, if they do not have a way to utilize this humongous amount of data. With new technologies and devices being invented with every passing day, the data volume is also increasing. Industries across numerous verticals including manufacturing, federal/central government, telecommunications, transportation, utilities, professional services, etc., have joined the data analytics bandwagon to reap its benefits. Still wondering why you should invest in data analytics? Read on to find out. Most of the businesses today, aim to provide their customers with the best experience. Data analysis can help companies to identify the trends in client needs, their buying habits, and their social behavior. But the main challenge to achieve this is the lack of supporting data, slow processing, or inaccurate data. Investment in data analytics not only helps businesses to derive useful insights, but also helps in the data procurement. Companies need to ensure that the data they have is accurate before it is analyzed and used for further decision making. Incorrect data can lead to improper analysis and prove to be dangerous when implemented or when used for making key business decisions. Inaccuracies, discrepancies, or any other instances of confusing definitions of data can be avoided by deploying data analytics. According to a recent survey, it is known that almost 75% of the companies worldwide have already invested or are planning to invest in big data analytics. As the competitors are already making use of this powerful tool and becoming more data-driven, this trend will soon become a necessity rather than an option for businesses to cut through the competition. Therefore, it is important that you too utilize this opportunity to stay ahead of your competitors in the market. Creating and publishing reports is a key part of business operations. Most of the companies still leverage human resources for carrying out basic computational processes. The reports generated are then consumed by forecasting and planning teams and are also used for making major business decisions. Having a technically sound data analytics team in place will enable businesses to efficiently plan, forecast, and precisely implement the decision. This is one of the key reasons businesses need to invest in analytics. With the massive amount of data accumulated by the companies, comes the threat of data breach were the organizational data is vulnerable to hacking. 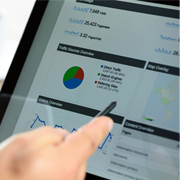 Investment in data analytics can help organizations protect their data from external threats. For instance, predictive analytics can help businesses identify frauds and threats, while regression and trend analysis algorithms help companies identify any kind of suspicious activities and/or irregularities. When companies utilize big data sets, they can conveniently opt for cloud service providers for storage and computing power. Cloud-based solutions help companies to analyze large piles of data without any kind of investment in hardware. Consequently, most of the companies today are using cloud-based solutions to store and process huge data sets and leverage it as required for analytical applications. This is one of the main reasons why data analytics investment is important. It helps businesses find new business opportunities and also identify new products and services. Many companies are now considering investments in new data analytics models and most of them have successfully identified new products and services, which are proving to be beneficial for the company. Social media sites too are using the data collected and are leveraging targeted ads for sending across to the customers based on their interests. It is important to provide a personalized experience to the customers, as it makes them feel special and helps in increasing their brand loyalty. Data analytics helps to segregate customers depending on their likes, dislikes, and interests. Using this data, businesses can provide targeted services to their customers and keep them happy. Monetizing data is expected to become a hot topic in the coming years. 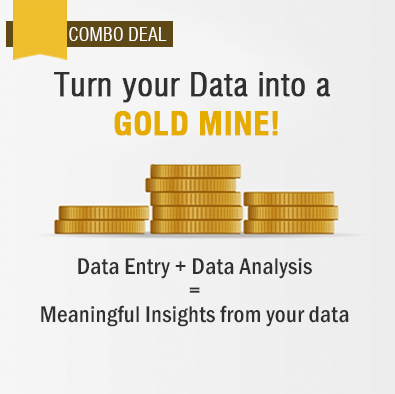 Companies already know the value of data internally, as data is commonly known as the digital gold in the industry. The next step for the organizations would be to maximize economic benefits from the collected data with the help of external sources, partners, suppliers, and customers. The opportunities to derive value from data are abundant and have to be tapped by the businesses. By moving towards a data-driven model to operate a business, companies will become smarter while taking key business decisions. However, companies must use standard and efficient ways to capture data and share it with the relevant teams and implement it while carrying out important functions across the organization. Utilizing insights derived from the analyzed data in an efficient manner will help in creating a smarter company in the long run. Outsource2india is one of the leading data analytics service providing company offering a gamut of data entry services to global clients across multiple industry sectors. With over 20 years of multi-domain industry experience, we have the required skills and expertise to provide top-quality data analytics services within a quick turnaround time and at highly affordable prices. Our team of skilled and experienced data analysts has access to the latest tools and technologies and is keen to help companies to make their processes better. Investment in data analytics is a smart choice. choosing O2I is a smarter one! If you are looking out for a partner who will make your investment in data analytics work, then please feel free to get in touch with us today!